We Love Life Festival will have a number of market stalls selling an exciting range of products and services, from hand-made goods and tasty plant-based foods to a relaxing massage, we have almost everything covered! Here is an idea of what will be available on the day. 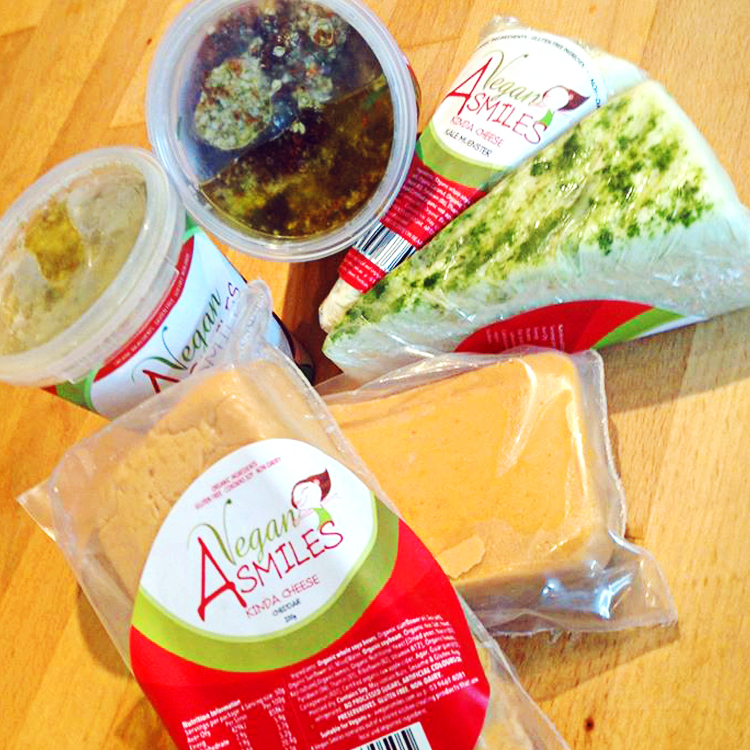 A Vegan Smiles is a business based in Melbourne Australia that creates and provide tasty foods that are animal free, specialising in non-dairy cheeses. A Vegan Smiles is a strong advocate for animal welfare and was founded on the desire to educate non-vegan’s that foods can taste great, even better without animal products. Buy direct at We Love Life and save up to 70% off RRP. Conscious Foods is a group of like-minded individuals who manufacture and distribute all natural, cruelty free, vegan and allergen free foods. We are 100% Australian owned and run. 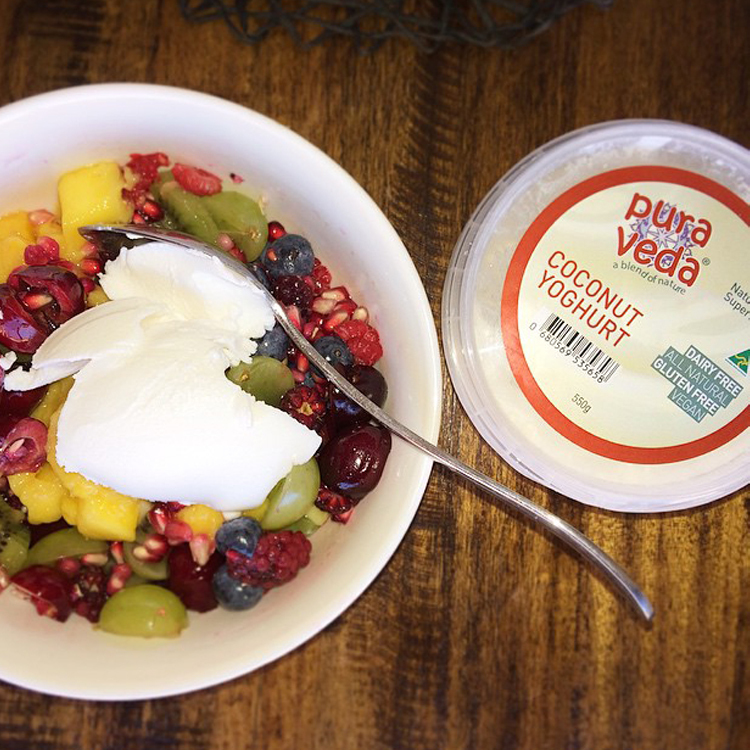 Products available on they day will range from Pura Veda Coconut Yoghurt – Dairy free coconut yoghurt, made from natural ingredients. Pura Veda Seed Mix – Blend of raw seeds, allergen free and raw, Pura Veda Pasta – Low calorie gluten free pasta, Feast Organic Juices – Organic fruit and vegetables juices to VBK Veggie Burgers – Potato and sweet potato veggie burgers, all natural. As a shiatsu practitioner Gerald is a strong believer in the self-healing power of the body and acts as a facilitator and initiator of your physical, mental and emotional healing journey. He matches his Shiatsu style to your body’s needs by giving treatments that range from gentle stretches and nourishing pressure to deep tissue techniques. In his treatments he uses cupping, moxibustion, stretching, sotai-ho and also SCENAR. The SCENAR is a medical device that acts on area’s of pain and stagnation by sending a gentle current through the skin. This activates the blood and muscle tissue to repair and keeps feeding information back to the brain (bio-feedback) to prioritise healing of the area until it has resolved. Gerald is a qualified therapist having studied at the Australian School for Shiatsu in Brunswick. He is a member of the Shiatsu Therapies Association Australia and is registered with all major Australian Health Funds. He is a native of The Netherlands and has lived in Australia for over a decade thriving in Melbourne with his young family. He loves wholesome food, grows his own veggies and is passionate about home cooking. Pricing: $1 a minute, minimal 20 minutes. $60-hour $30 half an hour. 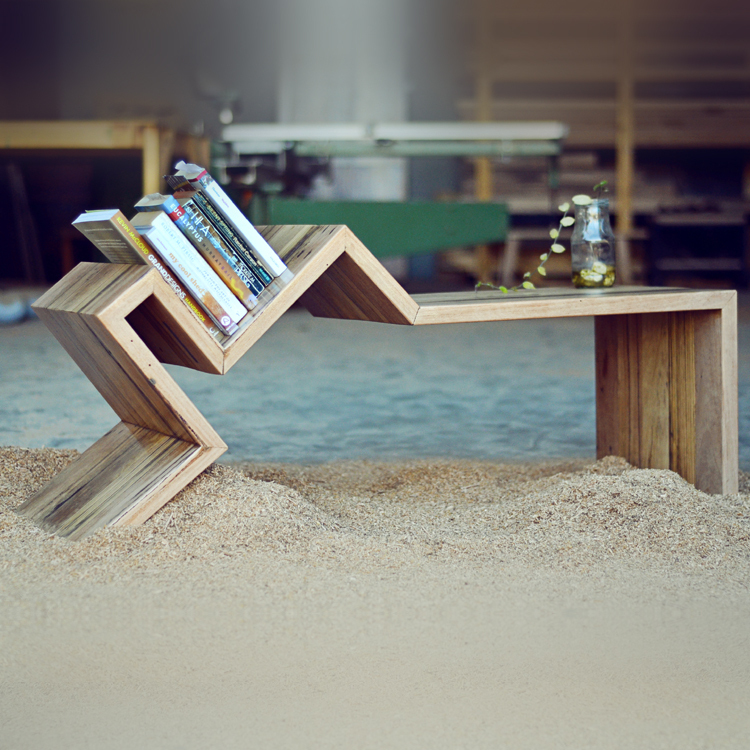 The Sunset Tree Furniture was born when artist and visionary Jason Rowe with his long history of joinery, yearned to build high quality products using recycled timber and environmentally awesome products. Teaming up with his multitalented eco warrior princess, Kylie Gill, together they now plan to take the world by storm, helping bring high quality, locally made vegan furniture to people all over Melbourne! So what do they actually do? Custom made tables, bench tops, desks, bookshelves and bench seats for residential or commercial all handcrafted up the road in Coburg. What makes these folks different? They’re super eco. Two vegans, making furniture using no animal products and who, in both their personal and business lives always prioritise the best environmental solutions available to them- from the heart, not because being eco is now hip… They are still a small team with just the two of them most of the time so you can be sure when you come in to have a look and meet these crazy kids, the hands you shake are the same hands making your special piece of furniture. Quotes and orders placed at the We Love Life Festival will get you a bit of a discount, 10% off for rocking up and saying hello on the day. 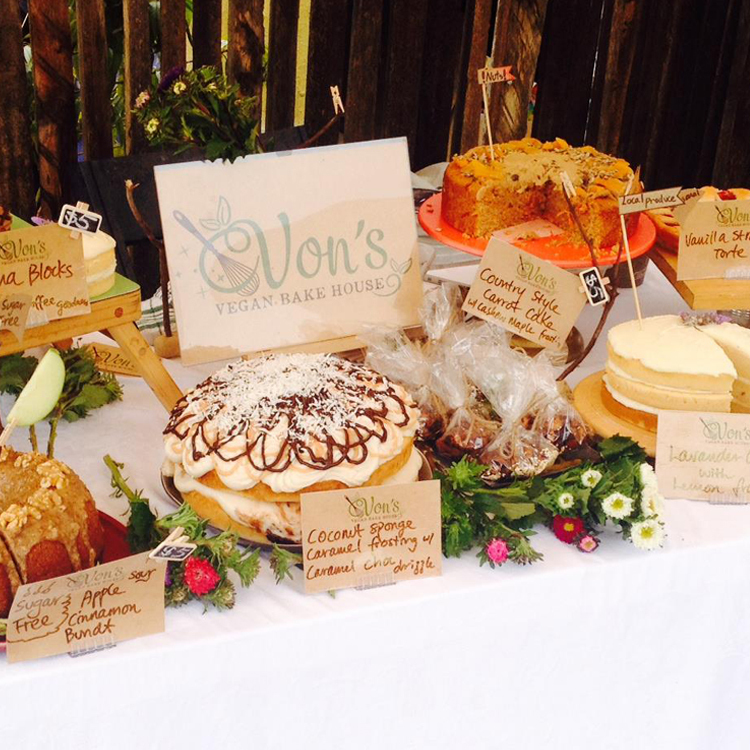 Von’s vegan bake house, founded in 2014 by Yvonne, a vegan of 11 years and a food loving cook by trade, is an artisan bake house that specialise in a variety of sweet and savoury plant based baked goods. Made locally in a vegetarian environment with seasonal and locally sourced ingredients, Von’s cakes are scrumptious, wonderful in sight, taste and aroma. With a passion in the local food movement, Yvonne aims to engage with customers about the benefits and importance of eating local and more likely organically grown produce, one vegan cake at time. You will find Von’s Vegan Bake House’s products in makers market and community oriented festivals in the inner suburbs of Melbourne. Bespoke cakes are made to order for customers’ celebratory events and you will also find her at the monthly Chant and Chai event. Willow Wisdom’s story begins with kindred spirits who were drawn together on our own journey of remembering. We share our wisdom, hope, and strength in order to connect with our highest vibration. Our work encompasses healings, readings, crystals, Aura-Soma colour and the arts. We are a small but growing team of like minded souls on a journey of healing and self discovery. 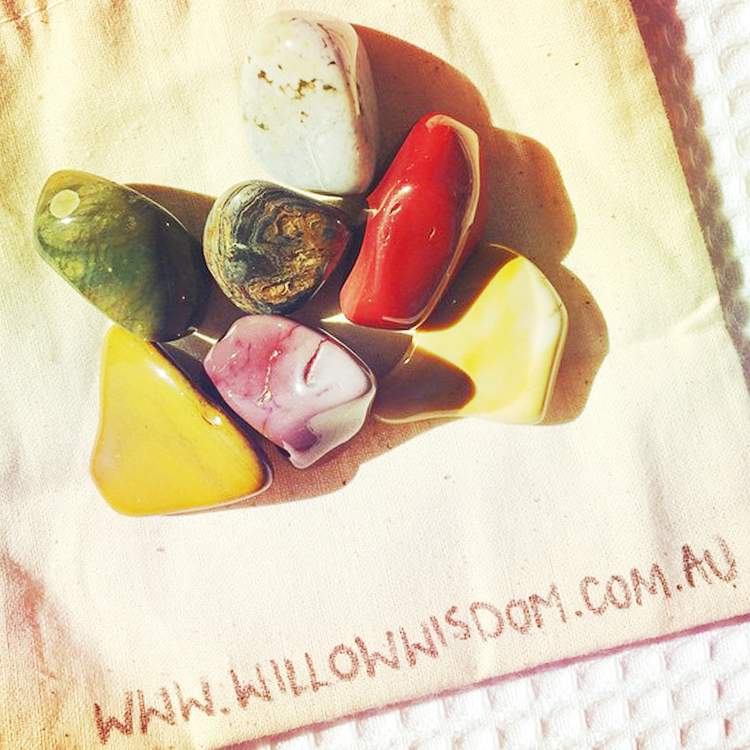 Each hand chosen crystal is… lovingly selected for its healing properties and high vibration. Each piece is blessed and cleansed with pure intention by one of our Reiki Masters.